Phullen earlier known as Khandaih was founded by the famous Mizo Chief Vanphunga Sailo son of Pawihbawiha Sailo in 1901. After Vanphunga Sailo, his eldest son Awksarala Sailo becomes a Chief of Phullen and he ruled Phullen village till his death. Khandaih, the village of Chief Vanphunga was considered the biggest village in Mizoram when the British first acquired the land. According to the record made by Rev Liangkhaia, the total household of Khandaih in the first census i.e 1901 is 550 Household. The village was given importance and was often visited by the British officials. The first permanent mission school was established in August ni 1, 1903. It was visited by the Dy Commissioner J Hezlett, ICS in 1912 where the chief Vanphunga heartily welcomed him with his finest liquor. The Dy Commissioner was so pleased that he said to the chief, “Vanphung, ask for anything and I shall give it to you.” Vanphunga, being a very wise chief replied without any prior thought, “As I have several sons, I ask that the rolling range from where River Tuivawl intercepts with River Tuivai to the point where River Tuivawl flows along all the way to River Tuivai be gifted to me so that my sons could branch out in these places.” And so, the Dy Commissioner gave all that Vanphunga asked for. On 1 August, 1903, when the Welsh Calvinistic Methodist Mission (now Presbyterian Church of Walsh) had opened the first village school in Mizoram at Khandaih, with the permission of Vanphunga, the chief of Khandaih. Hranga (Hrangsaipuia) was its first school teacher. Khandaih School was also used as a place of congregation meeting such as worship and studying Bible and gospels. Hranga touched and preach the gospel and they have an organised congregation since the school was establishment. That was considered as the origin of church in Khandaih (Phullen) and the establishment of Phullen Presbyterian Kohhran (Phullen Kohhran). Khandaih is the place where the first Christian revival took place in Mizoram on 8 April 1906 Sunday. The chief of Khandaih Vanphunga Sailo shifted his village at Changzawl Kawnpui; there the Christian community constructed an entirely separated church building in 1907. Since then, the location was changed to many places – Thanglailung, Thirhlum, Changzawl Kawnpui and Phullen. The first church in Phullen (Khandaih) was a Presbyterian Church. It was established in August 1, 1903. Phullen Kohhran celebrated its centenary in 2003 at its present location in Phullen Farkawn veng. The population of Phullen is made up of different ethnic groups of Mizo. The culture of the Mizo tribes and its social structure has undergone tremendous change over 100 years, since the arrival of Christianity in Mizoram. Peoples of Phullen celebrate Christmas, Chapchar Kut, New Year and other Christian celebrations replacing many of old tribal customs and practices. Christianity plays a very important role in their cultural, religious and socio-political structure. One such foundation cultural element of Mizo people was Hnatlang, which literally means social work, united labour or community labour (the word hna‘ means job or work in the Mizo language; and tlang‘ means together and mutual). The tribal members who were absent from such social work (for reasons other than illness and disability) were penalised — a form of strong peer pressure. Jhum cultivation and raids on neighbouring tribes required Hnatlang, the spirit of united labour and equal sharing of the end result. The village is headed by the Village Council President and almost all issues regarding the village administration have been under his authority. The President with his Village Council Members has exercised all matters of the village administration with regards to law and orders, and village development projects. Some NGOs like YMA and MHIP play very important role in certain social issues, which may reduce the burdens of the village council members. 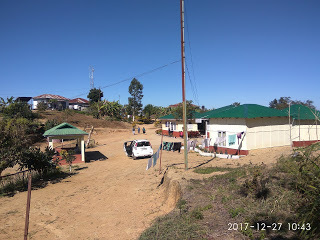 `Phullen is a Block headquarters of Phullen Block in Aizawl District of Mizoram State, India headed by the Block Development Officer (BDO). Phullen. 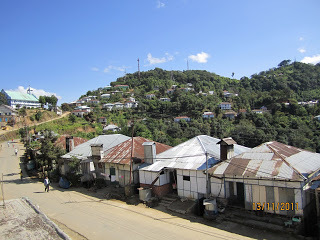 It is located 125 KM towards east from the district headquarters Aizawl, which is also the State capital of Mizoram. Phullen Block is bounded by by Darlawn Block towards west, Ngopa Block towards East, Thingsulthliah Block towards South. Aizawl City and sharing boundary with Manipur state in north. There are 12 Villages and 12 Village Councils in Phullen Block. 1. Sahlam: Sahlam is a tree where Mizo warriors hung the enemy heads. The village warriors used to bring back the head of their enemy and hung it on Sahlam. The tree still exists and stands in Phullen. It located at the outskirt of Phullen. 2. Awksarala’s Thlan- Awksarala’s Tomb is the tomb of the Phullen Chief Awksarala, located at Lalhuan Tlang in Phullen, Aizawl District, Mizoram, India. 3. Khandaih Bethel: The place where the first Christian revival took place in Mizoram at Khandaih on 8th April, 1906. This is also a place where the mission had established a village school in Khandaih in August 1903 which was the first village school in the whole of Mizoram, with the grudging permission of Vanphunga, the chief of Khandaih. Hranga (2) was its first school teacher. Its about 1 kilometre from the heard of Phullen – Diakkawn. 4. Diakkawn: Diakkawn is the main important place and is the heard of the village. It is a market place and some important office with settlement. 5. Lalruanga Tui thuhruk: It is a fresh water source named after the famous legendary Lalruanga in Mawmrang Mountain 8 kilometers from Phullen. Lalruanga history is one of the interesting, excellent and famous in MIZO folktales. According to the story Lalruanga leh Keichala, mankind is supposed to have first learnt the art of magic from a deity called Vanhrika, the keeper of all knowledge. 6. Humte tlang: This is a peak which is 4 kilometre away from Phullen. In this place there are some historical evident on the rock. 7. Kulhkawn: Before, Kulhkawn is a very important place for the villagers. It is a place for social gathering, Sport event and some important festival. It is 3 Kilometer from the heart of Phullen– Diakkawn. 8. Supply thlak Tlang: This is a helipad and where the supplies for Indian army took place during insurgency. 10. Licheng: It is located in Tuivai River which is about 5 kilometer from Phullen. 11. Thangteeka Lungdawh: It is located 3 kms from Phullen. Thangteeka was differently able person from unknown village, he has no close or distant relative either, visiting almost all the village in Mizoram and lived in anywhere if they shared him, and go where ever hi like to. At last he decided to settle in Khandaih (after Phullen) and died. 12. Awksarala Thlan: Awksarala Sailo was the chief of Phullen. His tomb ‘Awksarala Thlan’ is located 3 kms away from Phullen. 13. Chalbuanga Lungdawh: It is a memorial stone for the first Mizo Christian Martar, located near Phullen Presbyterian Church in Phullen. 14. Vanhnuaithata Lungdawh: It is a memorial stone for Vanhnuaithata, the son of Mizo chief Liankhama sailo, located in Vangte Phullen. 1. Phulleh Higher Secondary School: It is a private school run by Phullen community located at the western part of Phullen. 2. Government National High School: It is a fully government high school located at the northern part of Phullen. 3. Government Middle School-I: It is a fully government middle school located at the western part of Phullen. 4. Government Middle School-II: It is a fully government middle school located at the estern part of Phullen. 5. Government Primary School-I: It is a fully government primary school located at the north western part of Phullen. 6. Government Primary School-II: It is a fully government primary school located at the eastern part of Phullen. 7. Christian Children School: It is a private comprehensive school for primary level upto middle level which was located at the western part of Phullen. 8. Presbyterian English School: It is a private comprehensive school for primary level to middle level, located at the western part of Phullen. 1. Thangteeka: He was differently able person from unknown village, he has no close or distant relative either, visiting almost all the village in Mizoram and lived in anywhere if they shared him, and go where ever hi like to. At last he decided to settle in Khandaih (after Phullen) and died. 2. 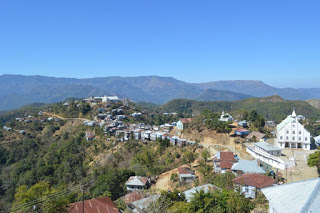 Chalbuanga: Chalbuanga of Khandaih (Phullen) was the first Mizo Kristian Martar in Mizoram. Primary Health Centre (PHC), Phullen is a government Hospital located at the eastern part of the village. It is headed by Medical Officer. This hospital plays a very important role for the community health issue for Phullen and nearby village. Phullen Health Sub-Centre is located at the western part of Phullen. 1. Sahlam: Sahlam is a tree where Mizo warriors hung enemy heads. The village warriors used to bring back the head of their enemy and hung it on Sahlam. The tree still exists and stands in Phullen. It located 500 meters from the heard of the village Diakkawn. 2. Khandaih Bethel: The place where the first Christian revival took place in Mizoram at Khandaih on 8th April, 1906. 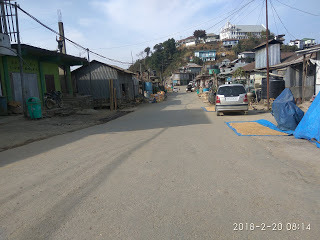 This is also a place where the mission had established a village school in Khandaih in August 1903 which was the first village school in the whole of Mizoram, with the grudging permission of Vanphunga, the chief of Khandaih. Hranga (2) was its first school teacher. 3. Lalruanga Tui thuhruk: It is a fresh water source named after the famous legendary Lalruanga in Mawmrang Mountain 8 kilometers from Phullen village. 4. Chalbuanga Lungdawh: It is a memorial stone for the first Mizo Christian Martar, located near Phullen Presbyterian Church in Phullen. 5. Awksarala Thlan: Awksarala Sailo was the chief of Phullen. His tomb ‘Awksarala Thlan’ is located 3 kms away from Phullen. The main transportation mode of the village is daily private Maxi Cab service between Phullen to Aizawl, and Aizawl to Phullen. There are around 8 maxi cab services between Phullen and the state capital city Aizawl. Lentlang – is a weekly news paper published by Young Mizo Association (YMA) Phullen branch. It was publish in every Saturday at Phullen. Kohhran Inleng – is a weekly newspaper published by Kristian Thalai Pawl (KTP) Phullen Branch. It was published in every Sunday morning at Phullen. Kohhran Kantu – is a weekly newspaper published by Kristian Thalai Pawl (KTP) Phullen vengthar Branch. It was published in every Sunday morning at Phullen. From the state capital city Aizawl via Keifang, Saitual Maxi cab mostly takes 4 hours to reach Phullen.